Hearing a dynamic sermon, listening to powerful music, attending worship times that are different than the usual Sunday morning church can impact someone greatly. Dave Kyllonen and his family have been involved in multiple evangelistic ministries over the last 58 years preaching to thousands of churches and inspiring people with his music. Dave’s passion and experience will motivate you, so enjoy the episode. Question: “What special event have you been to that has changed your life the most? Share some detail about the event and what God did in your life.” You can leave a comment by clicking here. Win 1 of 6 autographed copies of Dave’s book Our Final Quarter by leaving a comment answering the question above. You have until December 31, 2014 to enter to win an autograph copy of the book. Dave Kyllonen has traveled for the last 58 years in multiple ministries to over 60 countries and 10,000 churches. This episode not only talks about Dave’s life and ministry, but also has great information about hosting evangelistic events in your community or what it takes to start your own. The Original Couriers – Dave’s singing group. Central Bible College – Where Dave went to Bible College. Now it is apart of Evangel University. The Blackwood Brothers – This group was the inspiration for Dave’s bass singing. Barbados – Dave did mission work with the Couriers leading crusades, then eventually stayed as missionaries for three years. Westside Assembly of God – The church Dave Pastored for 7 years. Two Guys with Heart – Dave’s Radio show with his co-host Giff Briner on WPFG in Carlisle, PA . They encourage listeners to walk in faith to follow Jesus. 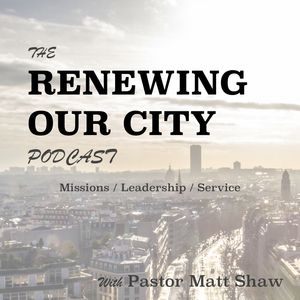 The post Episode 6 : Dave Kyllonen on Evangelistic Meetings appeared first on Pastor Matt Shaw.